In little more than two decades, the South African retail liquor sector has moved from a basic commodity competing with home-grown alternatives to a sophisticated retail operation which also reflects international trends. Rapid urbanisation, greater affluence, and an expanding middle class have fuelled an increasing demand for branded wine, spirits and beer products. Data from the South African Wine Industry Information & Systems (SAWIS) indicates that South African consumption of alcohol has increased by 13.6% when compared with figures for a decade ago: A combined total of 4 billion litres of alcohol in 2015, (worth R96.5 billion) – up from about 3.5 billion litres in 2006 (worth R46.9 billion). Statistics obtained by Businesstech show that, excluding abstainers, South Africa's drinking population each consume the equivalent of 27.1 litres of pure alcohol per annum, which compares with a global average of 6.2 litres of pure alcohol per annum. Following the signing of the Economic Partnerships Agreement (EPA) between the European Union (EU) and the Southern African Customs Union (Sacu), South Africa’s wine industry could add a further 100 000 jobs by 2025, most of which would be in the Western Cape. water shortages, duty fees and the tightening of regulations governing alcohol consumption often combine to exert a downward pressure on the retail sector. Unfortunately, the larger players now dominate the market and smaller producers are increasingly forced to modify their pricing or look for niche opportunities to compete. 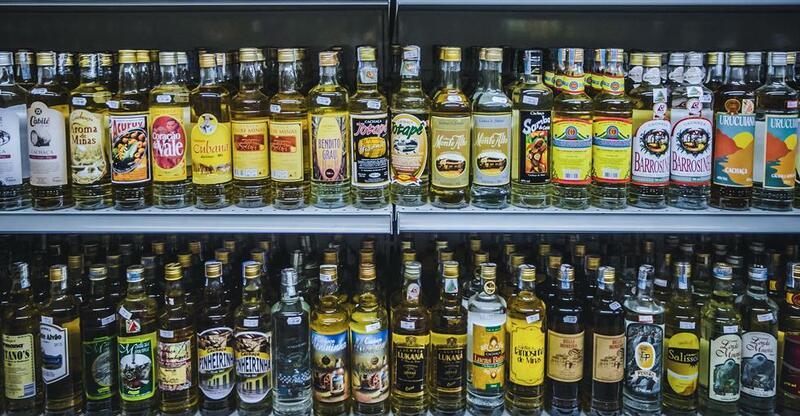 In addition, more and more independent liquor stores are securing licences to stay open longer hours, which has in turn put pressure on chain stores to drop their prices in order to stay competitive. Furthermore, South Africa’s wine growers are finding that the popularity of their products continues to grow with consumers, who are now much happier to drink regional wines. Beer remains the number one choice for most drinkers, and price increases on some imported alcohol brands have triggered a reduction in demand for categories such as whiskeys and ciders. As the alcoholic drinks market matures, so does the non-alcoholic beverage market. And a vast array of quality non-alcoholic drinks have appeared on the market as a result of the rising consumer awareness of health issues. Elsewhere, craft beers have become increasingly popular and some consumers are keen on drinks with new herbal flavours. Though such beverages are often marketed by smaller producers, larger companies are joining this market with their own limited-edition products. The influence of international travel and the spread of the ‘global village’ concept are encouraging South African drinkers to try more exotic alcoholic drinks as well as a whole range of health drinks and unusual flavours such as seaweed or chilies. In a similar vein, there are now new sports-nutrition drinks as well as drinks created using new technologies and lab processes aiming to produce more exciting kinds of alcohol-free experiences. The retail liquor sector continues to compete with the wider leisure industry for a share of consumers’ disposable incomes, often in a climate where economic pressures exert a real influence on the choices South African drinkers are forced to make. The need to curb alcohol abuse and promote responsible drinking, coupled with the continued introduction of new regulations and higher rates of duty, has created an environment in which liquor stores must be seen to trade and promote their wares in ethically acceptable ways. This implies, for instance, that retailers must offer different kinds of alcohol-free products alongside their range of alcoholic drinks. South Africa’s concentrated ownership within the liquor market is long-established and poses a further challenge for new entrants wishing to start an independent enterprise. In South Africa, you will need a business license to trade as well as a liquor license. Stringent conditions now apply to liquor licenses, which must be renewed annually, and will include an inspection of your premises. You will also need to be registered with the tax authorities, have insurances covering issues such as public liability, and comply with employment legislation if you hire staff to serve in the store. Generic business management skills will be needed to run the administrative side, together with a good knowledge of beverages of all kinds and an appreciation of how the drinks industry is run. From a retailing perspective, you must, of course, be comfortable dealing with the public. In addition, your business will benefit considerably if you are able to offer knowledgeable advice about drinks to your consumers. Buying an existing business can be a cheaper option. However, it’s essential to do your homework to ensure the enterprise really is the right one for you. Remember to check whether any scheduled new developments are likely to include rival businesses, and also ask whether the present owner has any plans to open a new business of his own.